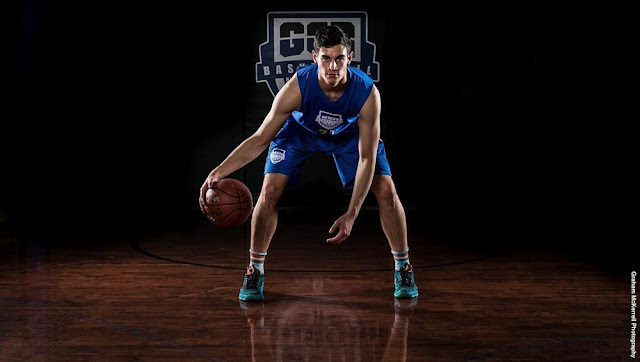 The Brandon University Bobcats have announced that Kobyn Jopp, a 6-foot-7, 202-pound forward, a highly sought-after prospect and coach Gil Cheung feels Jopp fits the mold of being a major piece to the Bobcats' future plans. "I think it is a big signing for us. He visited many other schools and we are excited to have him be a Bobcat," said Cheung. "He is very keen on wanting to be a pillar for what we are wanting to do at BU." "I am very eager," said Jopp. "One of the main reasons I wanted to come to Brandon was to be a part of their rebuild and get the team to where they want to be." Jopp was arguably one of the top big men in Alberta this past season and was a three-year starter at Sir Winston Churchill with the Bulldogs. He averaged 21 points, 11 rebounds and four blocks per-game in his senior year. He also led the Bulldogs to back-to-back appearances in the city finals over the course of his high school career. The Bobcats believe there is no job that Jopp can't handle at the Canadian Interuniversity Sport (CIS) level. "The biggest thing is that he can play inside and out. He has the ability to rebound, change shots and he is very agile for a player his size. He likes the weight room and is going to get bigger and stronger," said Cheung. "Five years from now, our goal is to have him be a Canada West all-star, he has that type of potential." "I want to get a feel for what it is like to play at that level in my freshman year," added Jopp. "It is a different level from high school, but I expect to get some good minutes and some good playing time, if it all goes well for me." Jopp's size and stature is coupled with his high level playing credentials. In his under-16 season, he reached the national stage as he represented Basketball Alberta at the Canadian championship in 2014. He wants to make a steady climb up the player ranks in the conference and is ready for the challenge that lies ahead. "I think my experience is pretty good, but I know I need more, especially for the next level," said Jopp. "Playing high school and going to the CIS is a big difference, but by the end of summer I plan to be ready. That is my main goal right now." Jopp is the second off-season signing for the Bobcats, joining Crocus Plainsmen star Riley Schaus in the team's recruiting class for 2016-2017.